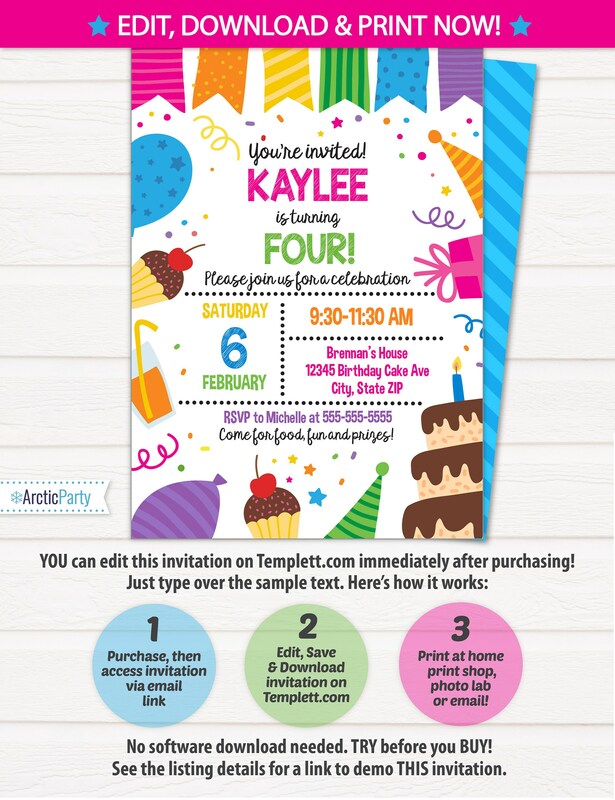 Birthday Cake Party Invitations - Birthday Party Invitations - Pink Birthday Invitations- Birthday Invitations- INSTANT ACCESS - Edit NOW! 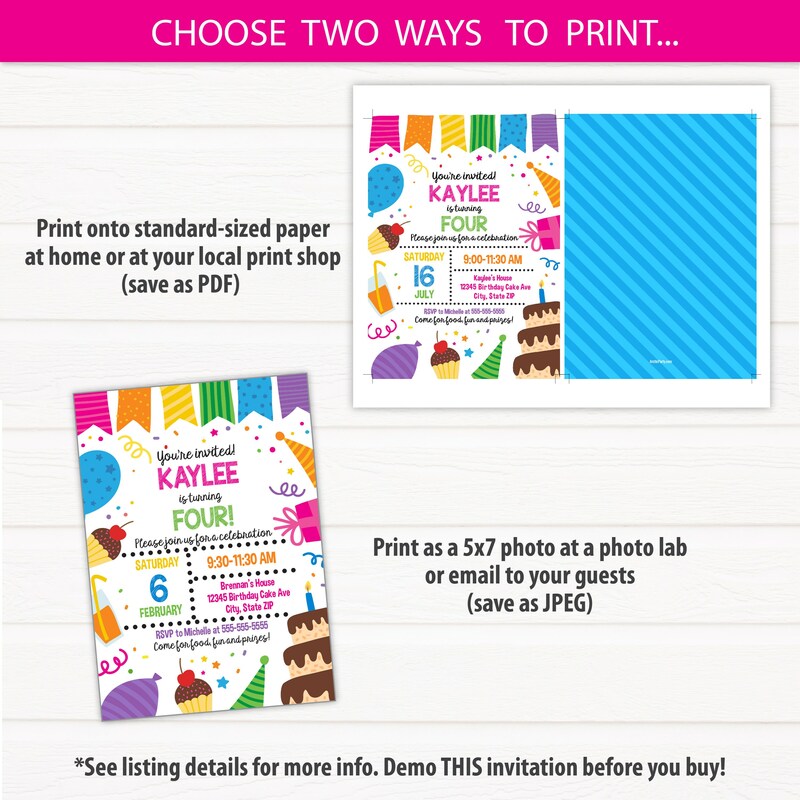 Birthday Cake Party Invitations Template! Backside design included. No waiting! 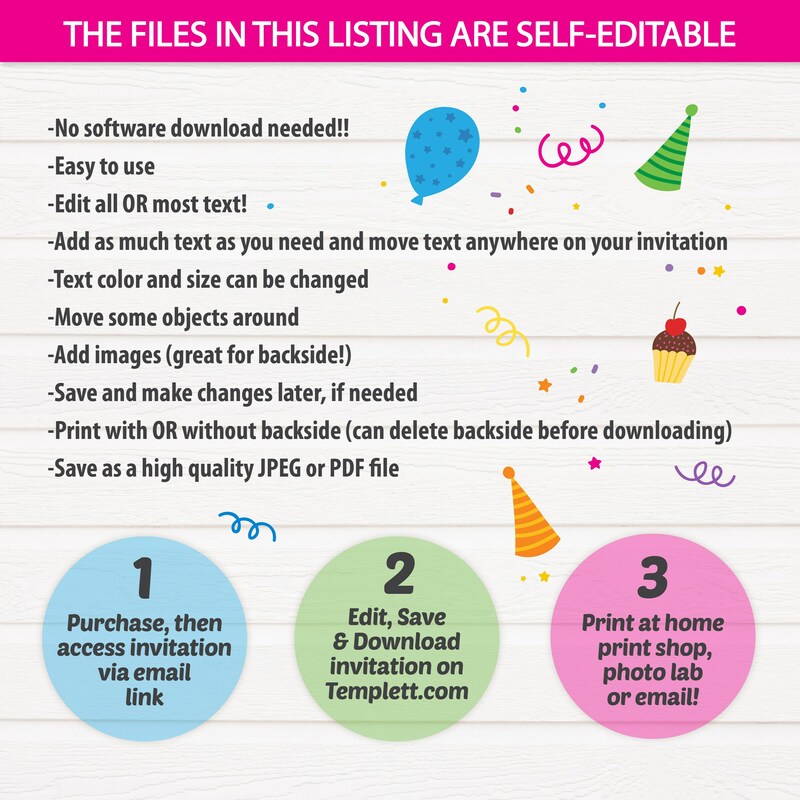 Edit NOW from home using Templett.com.